Greater Manchester Centre for Voluntary Organisation (GMCVO) has secured funding to deliver a new programme working exclusively with hidden young people: Greater Manchester's Hidden Talent. 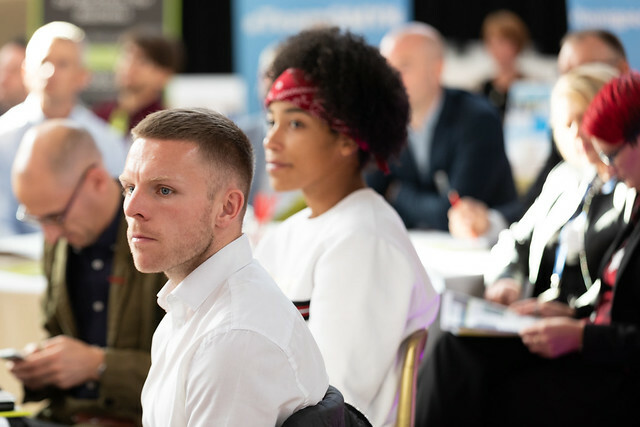 GMCVO were the lead partner in the original Greater Manchester Talent Match partnership, part of a national, five-year Big Lottery-funded programme which supported young people furthest from employment, and will oversee the direction of this exciting new project. Find out why and how hidden young people will be supported and who GMCVO will be working with. As of December 2018, delivery of the Greater Manchester Talent Match programme has officially ended. This video charts the unique approach that Greater Manchester Talent Match took to tackling youth unemployment. For the past five years this Big Lottery-funded initiative has brought together the private, public and voluntary sectors to support young people aged 18-24 who have not been in employment, education or training for twelve months or more. Almost 2,000 young people received holistic one-to-one employment support through the programme. In March 2019 we will be publishing research exploring how we achieved our aims. These will also contain recommendations for future youth employment programmes. A huge thank you to all of our delivery partners and the young people who chose to engage with us. Greater Manchester Talent Match was a Big Lottery-funded programme bringing together the private, public and voluntary sectors to support young people aged 18-24 who had been out of employment, education or training for twelve months or more and who need extra support to help them along their pathway to work.